Tuticorin is just one of the many instances of alleged environmental law violation by the group. 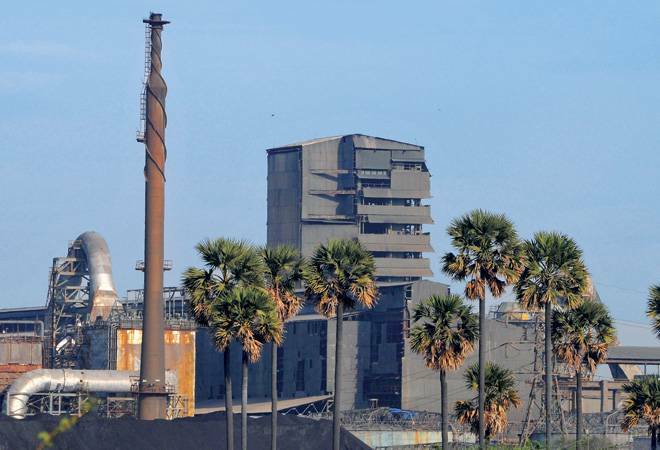 The shutting down of Sterlite Copper's operations at Tuticorin in Tamil Nadu shrinks the revenue of global metals and mining major's UK parent Vedanta Resources by nearly 25 per cent. It also deals a big blow to its attempt to reposition itself as an environmentally and socially responsible mining company, and infuses a wild uncertainty into its operations and balance sheet both in India and abroad. India's consumption economy is fuelling unprecedented demand for metals and plastics. Their production has a colossal fallout on the environment. That has the nation grappling with the difficult balancing act between economic compulsions and ecological preservation. For now, the hawks seem to have an upper hand. Especially, when politics hijacks one for the other at various points - as it did in Tuticorin. 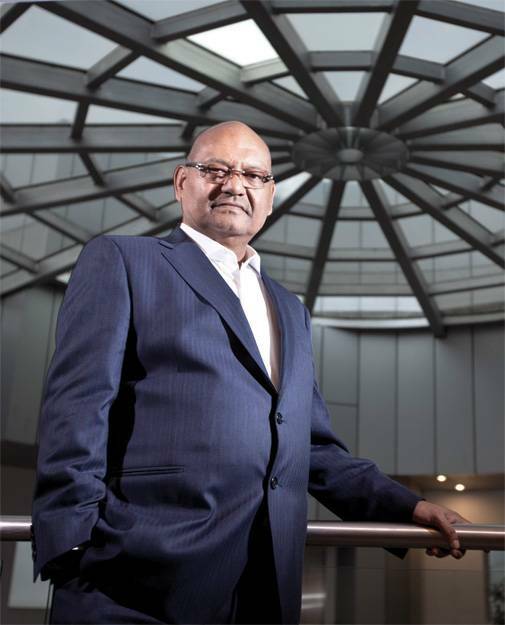 "Closure of the Sterlite Copper plant is an unfortunate development, especially since we have operated the plant for over 22 years in the most transparent and sustainable way, contributing to Tuticorin and the state's socio-economic development," says Vedanta Group Founder and Chairman Anil Agarwal. "We expect the company's scale, as measured by pro forma revenue for fiscal 2018, to decline by 25 per cent to $11.5 billion from $15.4 billion," says Moody's Research. Tuticorin is among a long list of environment-related allegations and protests that have engulfed Vedanta's businesses time and again. Some substantiated allegations and also often unsubstantiated ones have taken a toll on the group's investments and businesses in India and abroad. Vedanta Resources not just has to cope with nearly Rs 4,500 crore that has been sunk into the projects facing protests and shutdown, but also with the harsh reality of the opportunity cost of $4 billion of annual revenue loss in these investments. "We have strong reason to believe that the current protests are being orchestrated by anti-developmental activists," says Agarwal. In Tuticorin this year, more than the investment, it's the revenue foregone that has stung the company. The closure of the Tuticorin facility alone will cost Vedanta nearly $2.8 billion annually at current market rates of copper. Sesa Goa closure has an opportunity cost of over $1 billion in revenue every year. Though the closure will hurt top line badly, the impact on bottom line will be marginal. "We don't expect the closure to be materially negative for Vedanta's cash flows because the smelting operations provided only about 5 per cent (roughly $200-225 million) of Vedanta's gross annual EBITDA," says S&P Global ratings. Vedanta believes its a Rs1,308 crore hit on group EBITDA. Yet, the Indian holding company Vedanta Limited's market-cap has fallen nearly one-third since the beginning of this year from $19.6 billion on January 2 to $13.6 billion on June 5. In between, it even peaked to $20.34 billion on January 26. Of course, a big reason is the fall in global zinc prices and aluminium prices which are the mainstay of the group. Zinc prices are down from $3,600 per tonne during Feb-March this year to $3,173 now. Aluminium prices have fallen from a peak of around $2,600 per tonne in April to around $2,300 per tonne today. But trouble had been brewing at Tuticorin for at least 100 days and that's reflecting in the market capitalisation, too. Tuticorin is just the latest. Around the same time, in Zambia, Vedanta subsidiary Konkola Copper Mines faced agitation from locals for allegedly polluting local water bodies through waste from its copper mines. Over 1,800 Zambian villagers have since won the right to sue Vedanta in London courts after Court of Appeal dismissed an appeal by Vedanta and Konkola. The mining operations there are barely breaking even despite the group investing nearly $3 billion in the project. It has now promoted its star executive Deshnee Naidoo as CEO of Vedanta Africa Base Metals to help turn around the unit. Earlier, in 2014, it had another stir waiting in Goa where Vedanta-owned Sesa Goa operated 5.5 mtpa of mining operations. The Supreme Court cancelled all mining leases, including that issued to Sesa Goa between 2007 and 2012. It was in 2012 that SC had suspended all mining in the state after Justice Shah Commission reported violation of environmental laws by miners. Iron ore operations of 20 mtpa came to a halt in the state. Before that, in 2013 at Niyamgiri in Odisha, Vedanta faced allegations of trying to mine Bauxite from a 'sacred' hill to supply to Vedanta Aluminium's the then 1 mtpa alumina refinery at nearby Lanjigarh. The 30-odd families in Lakhapadar village unanimously voted against mining once Supreme Court in April 2013 ordered that forest clearance to mining was only possible after taking consent from the Gram Sabha. The environment ministry had already withdrawn forest clearance in 2010 following protests once the refinery began operations in 2007. The refinery on which the company has so far sunk Rs10,000 crore has a capacity of 2 mtpa and had drawn plans to expand to 6 mtpa. With raw material bauxite not coming from Niyamgiri, the refinery has been sourcing bauxite from other locations but has been shut and opened several times intermittently for shortage of bauxite, often running at below its rated capacity. "In the past too, other companies such as Tata, Maruti, Hindalco, etc., have faced such events. Unfortunately, misinformation spread by vested interests gets taken on face value by the public at large, leading to such incidents. But it becomes dangerous when anti-social elements masquerade as activists," says Agarwal. These agitations have come at a significant cost to humans and their livelihood. The Tuticorin protests had been on for over 100 days, but took a turn for the worse when protestors began ransacking and putting vehicles and public property on fire. Police action claimed 13 lives while two dozen others were injured. The closure of the plant has already claimed 32,500 jobs from contract workers and 800-odd associated units. About 1,000 more on the company's rolls await their fate as Sterlite prepares to challenge the state government's closure order in courts. On March 27, Sterlite Copper went into a once-in-four-year planned and 'extended' shutdown for 45 days for repairs and maintenance activities until the first week of June. It was planned to coincide with the timing of renewal of licence to operate the plant. However, the Tamil Nadu Pollution Control Board refused to renew the licence starting April citing three major violations: that the plant does not comply with environmental laws; has dumped copper slag in the river; and has failed to provide reports of the groundwater analysis of nearby borewells. Sterlite denies all these charges. In fact, the board rejected the company's application to renew the licence to operate the plant beyond March, 2018. "We have the confidence to undergo scrutiny by any technical committee and prove to the people that all the allegations related to health concerns were done with mala fide intentions," says Agarwal. Why has the TN Pollution Control Board not cleared the licence to operate? "I don't know. The reasons would be best known to them. Whatever reasons they have stated, we've already been complying with. They themselves have been coming on a monthly basis and taking groundwater samples," says Sterlite Copper CEO P. Ramnath. Mining is not a business for the faint-hearted. The reason it attracts such agitations is because extraction of metal from ore requires chemical processing. The effluent and gases need to get treated and slag needs to be disposed. Neither is that environment-friendly, nor does it ever extract all harmful substances. It's this residue that can be harmful for humans if it enters their eco-system via air or water. Hence, mining operates at the volatile intersection of environment, business, land owners' rights, and politics. Managing any one of them is a tricky affair. Managing them all together is a recipe for hypertension. "My request is to keep business away from politics. All over the world, successful economies don't mix politics with business. Having said that, it is very important for the government to get to the bottom of this episode," says Agarwal. But for the moment Agarwal will have to pay the price for the alleged indiscretion - however fair or unfair it may be. The legal battles may go on for decades, but the financial repercussions have to be dealt with now.